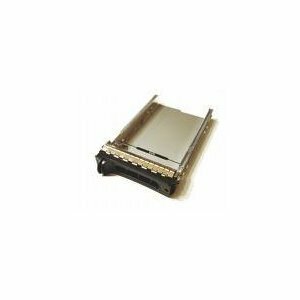 Dell D981C SAS / SATA 3.5" Hot-Swap Tray. Brand new with Lifetime Warranty! *Lifetime warranty* 100% Genuine Dell Large quantity in stock. We can ship same day on any quantity from 1 unit to 500 units of trays with any order placed before 4:00 pm eastern time, M-F. Whether it is Ground or Priority Overnight, we guarantee to ship same day. Dell F9541 / NF467 / H9122 / G9146 / MF666 / D981C tray / caddy - for SAS / Serial SCSI / SATA Hard Drives for Dell PowerEdge 1900, 1950, 1950 III, 2900, 2900 III, 2950, 2950 III, 2970, 840, 860, 6900, 6950, R200 R300 R900 R905 SC1430 SC1435 SC1440 T100 T105 T300 Servers and PowerVault MD1000 MD3000i and MD3000 Storage Arrays. *Note: For SATA Drives w/o Interposers This is an original Dell tray that comes with four screws to mount your hard drive.